RajdulariStyle + PhatGorgeousChic (Brand Ambassador)! I have a HUGE announcement for you ladies! #RajdulariStyle has been selected as a Brand Ambassador for Phatgorgeouschic's new #CurvyGirl t-shirt line! The tees are super affordable, between $20-$25, and they have the cutest images that you can dress up or down anyway you want to show off your own personal style! You can shop directly from their FB page at Phatgorgeous Chic, (tell 'em Rajdulari sent you ðŸ˜‰ðŸ’‹). 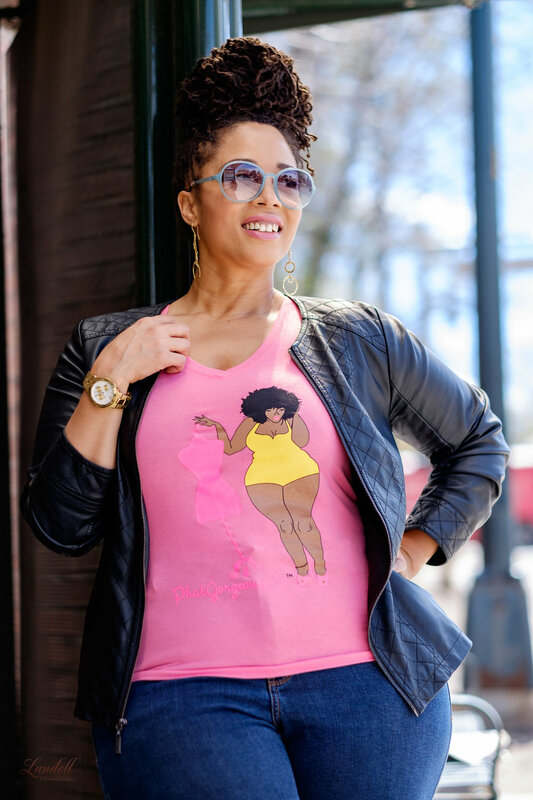 Getchu some tees and flaunt those curves, Divas! Yay, I'm so excited, and can't wait to do more work with this awesome brand!